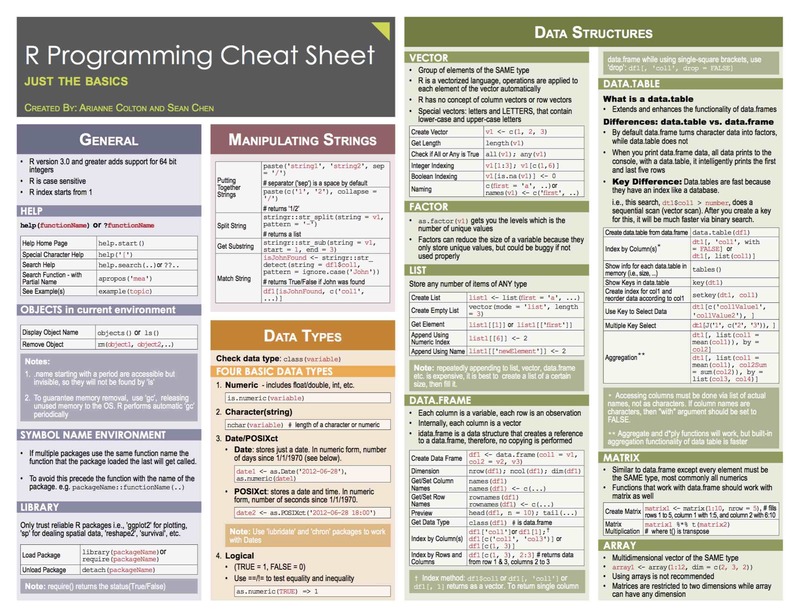 I developed R and Python cheatsheets last year. The advanced R version is posted on RStudio Inc. website. It will be very helpul!! !